After kicking off in Singapore and holding events in a ridiculous 14 different countries throughout 2014, the UFC is headed to Brazil with a pair of former champions looking to get back in the win column on the final UFC card of the year. Both Lyoto Machida and Renan Barao suffered hard-fought title fight losses in their last bouts, with Machida losing to middleweight champion Chris Weidman and Barao dropping his UFC bantamweight belt to T.J. Dillashaw. Now, both fighters are looking to get momentum back as they enter the card as heavy favorites over their respective opponents. However, C.B. Dollaway and Mitch Gagnon both enter the cage with nothing to lose and everything to gain in their respective weight classes. They have the chance to pull off major upsets behind enemy lines, and their recent winning streaks suggest both men are getting this opportunity at the perfect point in their careers. 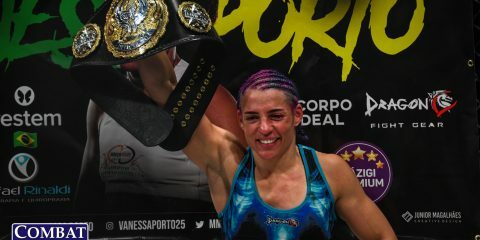 Outside of the two high-profile fights at the top of the card, the rest of the night is set to feature a few Brazilian prospects who seem to have some potential to make noise over the next few years. Antonio Carlos Junior is putting his undefeated record on the line against the incredibly athletic Patrick Cummins in a light heavyweight bout, Elias Silverio looks to extend his UFC winning streak to four against Rashid Magomedov, and five-time UFC bonus-award winner Erick Silva makes his return to the cage against Mike Rhodes following a “Fight of the Year” candidate against Matt Brown. UFC Fight Night 58 is set to go down from Barueri, Brazil on Dec. 20, with the first pair of bouts starting on UFC Fight Pass at 7 p.m. ET. From there, the card will move to Fox Sports 1 for the duration of the night, with the remaining preliminary fights starting at 8 p.m. ET before the main card gets going at 10 p.m. ET. Combat Press writers Bryan Henderson and Vince Carey break down the major fights and storylines surrounding the card in this edition of Toe-to-Toe. 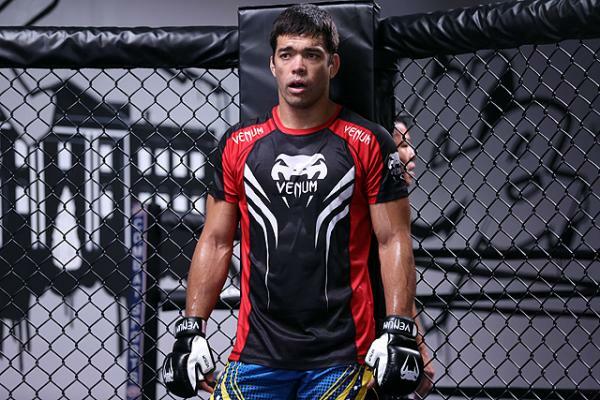 Entering the headlining affair, Lyoto Machida is 5-5 over his last 10 fights and C.B. Dollaway is 7-3 over his last 10 outings. Dollaway may have the better winning percentage, but does he have what it takes to defeat Machida and finally put his name in the hat as a legitimate contender? Henderson: Let’s just take a step back here and consider those winning percentages. Machida’s losses in that time frame? 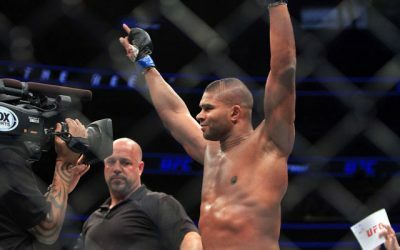 A championship loss to Mauricio “Shogun” Rua, title challenge defeats to Jon Jones at light heavyweight and Chris Weidman at middleweight, and losses to Quinton “Rampage” Jackson and Phil Davis. And Dollaway? His defeats came at the hands of Mark Munoz, Jared Hamman and Tim Boetsch. As for the win column, Machida can boast victories over Randy Couture, Ryan Bader, Dan Henderson, the aforementioned Munoz and Gegard Mousasi. Dollaway’s most notable wins over his last 10 fights? Jason “Mayhem” Miller, Cezar “Mutante” Ferreira and Francis Carmont. See where I’m going yet? Machida is a former light heavyweight champion and current middleweight contender who has consistently fought the best of the best during his last 10 fights, whereas Dollaway is a former The Ultimate Fighter contestant who lost twice to Amir Sadollah during the course of the TUF competition and has fed on a list of non-contenders until very recently. His wins over Mayhem, Mutante, Carmont and Daniel Sarafian demonstrate that Dollaway is improving, but it’s not exactly eyebrow-raising, breakout stuff. Now, admittedly, I’ve never been high on Dollaway. 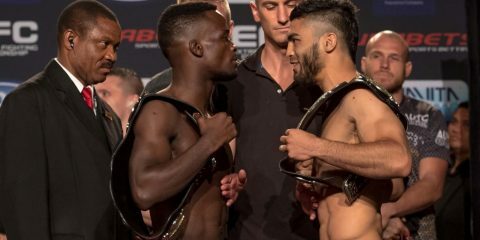 Those losses to Sadollah — and especially the fact that he lost the exact same way the second time — are significant in influencing my opinion of the middleweight, despite the six years that have passed since the second of those fights. His two most recent victories, over Mutante and Carmont, force me to give him some credit, but I still find it impossible to consider him in the same league with Machida. There’s not a single area where I can see Dollaway taking the edge in this fight. Dollaway’s takedowns aren’t strong enough to plant Machida on the mat, and even if Dollaway does somehow manage to take the fight to the ground, he’s dealing with an underrated Brazilian Jiu-Jitsu black belt. Dollaway’s best chance comes in the striking department, where he has the power to score a knockout. The problem is that Machida has always been an excellent counter striker. It’s difficult to imagine Dollaway figuring out the puzzle on the feet and clipping Machida. Dollaway has proven me wrong enough times to where I should be a believer by now, but I’m stubborn. Machida is coming off a loss in a middleweight title fight, and this is his chance to bounce back into immediate contention by bursting Dollaway’s bubble. The fight will likely go the distance, because that’s how these guys often roll, but Machida might be capable of bringing an early close to the night with a knockout. Regardless of how it ends, Dollaway’s poised for disappointment here. Carey: Comparing Machida’s resume to Dollaway’s is like comparing Tom Hanks to Pauly Shore. Sure, maybe Pauly had a couple of decent hits, but he still isn’t Forrest Gump. Look, Dollaway’s been impressive as of late and could easily be walking into the Octagon on a five-fight winning streak if the judges hadn’t have gone insane and gifted Boetsch a win last year in Houston, but he’s not a top-five middleweight fighter. He’s mostly gotten to this point by depending on his wrestling and punching power. Meanwhile, Machida might be the second best fighter at 185 pounds at the moment and has made a career out of laying the smackdown on fighters that can’t figure out a way to deal with his elusive striking attack. I don’t want to kill the hopes of Dollaway fans any more than Bryan already did, but I have to agree with my colleague and make it clear that I don’t see any area where Dollaway can pull off the upset here. Maybe the best version of Machida I’ve ever seen came at UFC on Fox 4 a few years ago against Dollaway’s friend and former Arizona State teammate Ryan Bader. The fight lasted almost seven minutes, and every one of those minutes felt like you were waiting for a bomb to go off. The comfort level Machida showed in that fight — in his movement, his distance and his striking accuracy — were a sight to behold, and to this day it still sticks out in my mind as one of the better performances I’ve seen inside the Octagon. 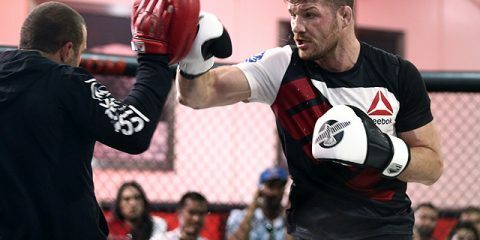 While Dollaway and Bader are dramatically different in some ways, they’re very similar in the way they use their striking to try to set up their grappling attack. Machida had an easy time with a slightly better striker in Bader, and I find it hard to believe he’ll do anything differently against Dollaway. Dollaway has improved to the point where he’s become a borderline top-10 middleweight, but it’s impossible for me to pick him against Machida. The quick knockout of Mutante got my attention and grinding out the consummate grinder in Carmont made me somewhat of a believer, just not enough to pick him here, or really against any of the elite fighters at middleweight. At 36, Machida will slow down eventually, but it won’t happen against Dollaway. I see “The Dragon” adding another knockout to his highlight reel before the night is over. Renan Barao spent two years defending some version of the UFC bantamweight title, beating Urijah Faber twice along the way, and receiving UFC President Dana White’s praise as the best pound-for-pound fighter in MMA before dropping the championship to T.J. Dillashaw earlier this year. After a botched weight cut eliminated him from his immediate rematch with Dillashaw, Barao was told he’d have to work his way back up. Now, he’s fighting Mitch Gagnon in a co-headliner. How long does it take Barao to work his way to another shot at bantamweight gold? 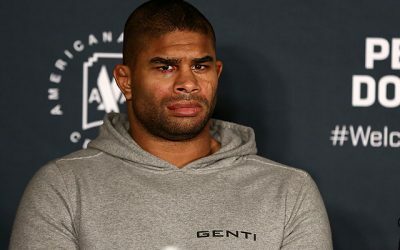 Carey: Before I talk about what it’s going to take for Barao to get back into the UFC’s good graces and the title scene, I need to ask a question of my own. What did Mitch Gagnon do to deserve getting thrown into the cage against a motivated Barao, and in Brazil of all places? I understand giving guys an opportunity after they establish themselves with a winning streak, but Gagnon is barely ranked in the top 15 of the division and he has somehow ended up fighting the No. 2 bantamweight in the world. I don’t know if UFC matchmaker Sean Shelby hates Gagnon or just has a ridiculous amount of confidence in him, but this seems like cruel and unusual punishment, not an opportunity. Outside of a rematch with Raphael Assuncao (which won’t exactly get the needle moving as far as pay-per-view buys are concerned) and an inevitable showdown with former champion Dominick Cruz, Dillashaw doesn’t have a ton of competition in the immediate title mix. After hyping Barao to the moon over the last few years, it shouldn’t be surprising that the UFC will welcome the former champion back into the mix with open arms after a win this weekend. I don’t think Barao jumps straight back into a rematch with Dillashaw, mostly because no one will be leapfrogging Dominick Cruz in the pecking order without some sort of injury taking place, but I’d expect to see him in a No. 1 contender’s fight against Assuncao or someone similar following a win over Gagnon this weekend. The UFC has a chance to have an extremely interesting bantamweight division over the next year with those four fighters and Urijah Faber taking center stage, and I don’t think the company will punish Barao and itself by making him work his way back up from the bottom of the ladder. The UFC will watch his weight cut closely this week and force him to win an additional fight before getting another crack at the belt, but expect Barao to be right back in the title picture after this weekend. Henderson: Gagnon does seem like an odd choice, doesn’t he? That’s in terms of the co-headlining slot, as well as the pairing with Barao. That’s what comes with winning four straight fights, I suppose, but one would think the UFC would have invested more promotional effort into Gagnon before tossing him in such a high-profile position. But we’re talking the UFC in 2014, so perhaps that philosophy no longer applies in a world where Shelby and fellow matchmaker Joe Silva have to construct upward of 40 cards per year. What Gagnon did to get here is, he started winning fights in an era of watered down cards. However, he is arguably on the cusp of landing in the top 15, and obviously a victory over Barao would immediately vault Gagnon into the top 10. The pairing itself is an obvious indication of how long the UFC thinks Barao needs before climbing right back into title contention. It has set him up against a low-profile fighter as “punishment,” but it’s really giving Barao a chance to shine in a fight against a guy with four straight victories, therefore legitimizing Barao’s claim to a top spot if the Brazilian wins. Dana White loves to hype every one of his champions as the greatest pound-for-pound fighter in the world — it’s become a running joke to media and fans at this point — but Barao did have a healthy run atop the bantamweight division and shouldn’t be forced to climb back to the top. 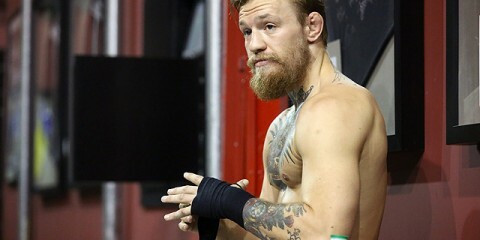 He did draw the ire of the UFC, though, for passing out during a weight cut and forcing the UFC to go to option two, which in this case meant putting a debuting UFC fighter in a title bout, so the UFC had to wag its collective finger at him and do something other than grant him the next shot at Dillashaw. Given the circumstances, I’m inclined to agree with my colleague about Barao’s need to win one more fight after he tops Gagnon by whatever method he chooses. It’s mostly a matter of timing, now that Cruz is healthy and made his return with an exclamation point of a victory over Takeya Mizugaki. Dana White already promised the next title shot to Cruz, but a date for the fight isn’t set. Maybe Barao sits around and waits for the winner of Dillashaw/Cruz, but he could find himself squaring off with Assuncao, as Vince suggested. After being thrown to the wolves in his UFC debut, Patrick Cummins has been dominant in his last two UFC bouts and has started to live up to his hype. Meanwhile, Antonio Carlos Junior recently won The Ultimate Fighter: Brazil 3 as a heavyweight, is one of the more decorated Brazilian Jiu-Jitsu big men in the promotion, and is only 24 years old. Which prospect wins on Saturday, and which guy has the most upside going forward? 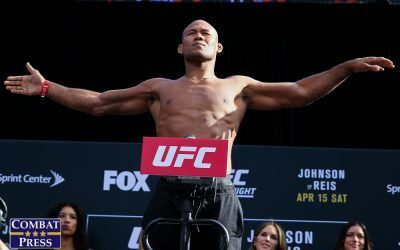 Henderson: Cummins was definitely a sacrificial lamb in his UFC debut. The UFC was able to feed him to Daniel Cormier in Cormier’s light heavyweight debut by selling the fight as a grudge match. All of the trash talk made a battle between an immediate contender and a prospect whose previous two victories came against opponents with a 5-14-1 combined record seem like a legitimate match-up, at least to some fans. It obviously was not close, but it left an impression. Cummins has had to work extra hard to make believers out of people who witnessed that beatdown. He’s done well so far, with wins over Roger Narvaez and Kyle Kingsbury, but Kingsbury was fighting for the first time in nearly two years and entered the fight on a three-fight skid and Narvaez has yet to prove himself as anything more than a lower-level UFC fighter. Cummins still has a lot to prove. Carlos Junior has fared better in his journey to this fight. 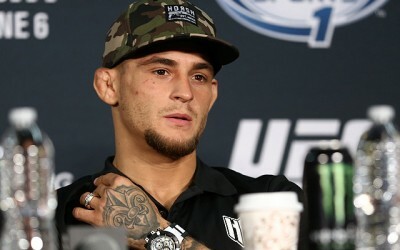 Instead of being led to the slaughter, he was put into a reality show competition that yielded him three stoppage wins in the TUF house and a convincing decision in the finals. Add in the other three submission wins on his official record and this is a fighter with six stoppages through seven fights, counting those exhibition contests. He was fighting above his normal weight class for The Ultimate Fighter and demonstrated a well-rounded game, besting kickboxer Vitor Miranda on the feet in the finals. A fighter’s performance in the TUF house isn’t always an accurate indicator of their UFC potential. Some fighters excel in the house but fail to do much of anything once they step inside the Octagon for live events, and Carlos Junior’s past victories against a set of fighters who now stand at a combined 1-13 isn’t exactly reassuring. Who wins this fight? I’m tempted to give the edge to Cummins. Narvaez and Kingsbury might not be the best litmus test for a UFC fighter’s future chances, but they aren’t exactly easy wins. We’re probably in for a lot of clinch work, but Cummins is strong enough to emerge with the upper hand. Future upside is a different story, however. Cummins is already 34 years old, and he isn’t showing the surging potential to skyrocket into contendership. He might have a few decent or good years in him, but he probably won’t fight for a championship belt before hanging up his gloves for good. Carlos Junior, meanwhile, is 24 years old. That gives him a decade on Cummins, and his performance against Miranda suggests that he has all the ingredients to put together a successful future in the UFC. 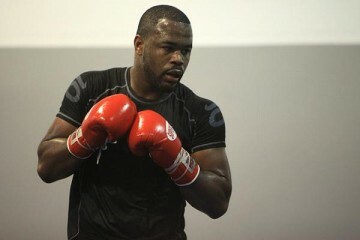 He’s the type of fighter who just needs a breakout year to become a contender. Will he manage to fight for a title? That’s debatable, but he could certainly carve out a long-term spot on the UFC roster and turn into a gatekeeper or borderline contender. So, Cummins wins now, but Carlos Junior finds more success in the long term. Carey: As Bryan said, Cummins has had to work exceptionally hard to make fans start to take him seriously again, and he made a believer out of me during his destruction of Kingsbury. Although Kingsbury wasn’t exactly high-caliber competition toward the end of his UFC run, the way Cummins completely dominated that fight would have been impressive regardless of the opponent standing across from him. It was truly an epic beatdown, and it definitely helped stifle some of the hate he’s had coming his way since the Cormier fiasco. At the same time, how can you not be at least a little impressed by Carlos Junior? Obviously winning a TUF season doesn’t mean what it used to, but the man just won a heavyweight tournament as a natural 205-pounder and stopped everyone in his path to the finals along the way. When you throw in his Brazilian Jiu-Jitsu credentials and the progress shown in his stand-up while fighting Miranda, it looks like he could be a really good 205er one day. Despite the potential shown by Carlos Junior, I’m going to have to side with Bryan and pick Cummins to win on Saturday. My colleague hit the nail on the head when he said this fight will likely spend the majority of the time in the clinch, and I agree that Cummins is just a bit too strong to lose in that area. The American is going to be a little bit better on the feet in this one too, so as long as he avoids the ground he should be able to pull off the win here. Carlos Junior probably has the brighter future. 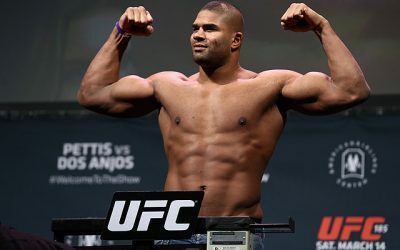 However, with the light heavyweight division aging like milk, I wouldn’t be surprised if Cummins ended up getting another opportunity in the same mold as the one he got against Cormier this year. A third straight win should push him towards the fringe of the rankings, and with guys like Mauricio “Shogun” Rua and Ryan Bader hanging out near the bottom of the top 10, he could easily get another big name or two before he decides to hang them up. Tom Niinimäki’s UFC career started off with such promise. He held his own against Rani Yahya and eked out the split decision win. But then came back-to-back losses to Niklas Backstrom and Chas Skelly. Now, Niinimäki is likely just one loss away from a pink slip. Can he right the ship against Renato Carneiro? Carey: I was pretty impressed by Niinimäki’s win over Yahya last year, but it’s been all downhill from there. I’m not sure if he’s ever going to completely be able to get back on track at this point. There’s no denying how well the Finnish fighter looked during his win over the UFC vet or during the 11-fight winning streak that preceded his UFC debut, but he’s looked so out of sorts in his last two bouts that it’s hard to predict he’ll even come out victorious against Carneiro here, let alone hold his spot on the UFC roster for another couple of fights. Both of Niinimäki’s recent losses came against opponents that seem to have a good chunk of potential in their own right, but little to no name value. Backstrom was overwhelmed by the Finn’s grappling game early on in their fight, but he quickly reversed his fortune with a few submission attempts and ended up landing a bulldog choke to pull off the comeback and earned a good amount of hype in the process. In his latest loss, Niinimäki was completely overwhelmed by Skelly from the jump, getting taken down and mounted before succumbing to a rear-naked choke. After doing more than just holding his own with a legitimate submission specialist like Yahya on the mat, dropping back to back fights by first-round tapout can only be described as a major disappointment, especially against unheralded guys like Backstrom and Skelly. It’s obvious that Niinimäki is fighting to avoid a pink slip here, and while an opponent with under 10 fights and no UFC experience would seem to be the ideal opponent, I still don’t feel confident that he gets the job done against Carneiro. The Brazilian was the Jungle Fight featherweight champion until his UFC signing and has amassed a solid 8-0-1 unbeaten record since becoming a professional in 2010. Four of those eight wins have come by submission as well, including two in his last three fights. Considering the last four losses Niinimäki has suffered came on the mat and he’s spent the majority of his UFC career on the floor, I can’t help but feel like he’s going to take this fight to the ground and make a fatal mistake. I know Niinimäki is going to be desperate, but I’m calling a minor upset here and picking Carneiro to get the win. Henderson: In the case of many UFC newcomers, it’s easy to point to their record and highlight all of their wins over subpar competition. The list of victims typically includes guys with 0-1 or 0-2 marks, and sometimes you’ll find fighters with abysmal 3-10 records or perhaps even worse. That cannot be said of Carneiro. Maybe it’s his good fortune of fighting for Jungle Fight all along, but the Constrictor Team product has defeated fighters who now stand at 16-5, 35-17-2, 22-13, 18-6, 27-9-1, 12-6, 12-7 and 6-3. That’s not too shabby. And his next opponent? Well, Niinimäki stands at 21-7-1. The Finnish fighter put together a strong resume before joining the UFC, and his victory against Yahya was certainly impressive. His collapse over the course of his last two outings is stunning, though. This guy went from a huge prospect who could hang with a world-class jiu-jitsu ace for three rounds to becoming a fighter with a seemingly nonexistent submission defense. Now, here he is, fighting a guy who has handled himself well against veterans on a regular basis. Vince pointed out Carneiro’s four submission wins, but what he failed to note was the method by which “Moicano” secured those victories. They all came by way of rear-naked choke, a hold that has haunted Niinimäki in his UFC career. When I heard that Niinimäki’s opponent had changed, I was ready to pick the Finn to easily land the victory and right the ship. Once I started looking more closely at Carneiro, however, I convinced myself that the opposite was true. Carneiro is fighting on home soil, which is the final nail in the coffin for Niinimäki, who will suffer his third straight submission loss. Henderson: I’m a sucker for a great grappling battle in an MMA fight, and that makes my sleeper pick an easy one. I like the bantamweight pairing of Leandro Issa and Yuta “Ulka” Sasaki. Issa is a highly decorated Brazilian Jiu-Jitsu black belt and World champion. The Evolve MMA product’s grappling prowess extends to his MMA game, accounting for eight submission victories over his 16-fight career. The 31-year-old has suffered a couple of losses via submission, however, which makes his fight with Sasaki all the more interesting. Sasaki is a Shooto veteran who has notched nine submission victories in a career that spans more than four years. In the world of grappling, he won the 2013 ADCC Asia trials. Sasaki impressed in his UFC debut with a 66-second submission finish of Roland Delorme. Issa’s Octagon debut didn’t go quite as well. He suffered a submission loss at the hands of Russell Doane. 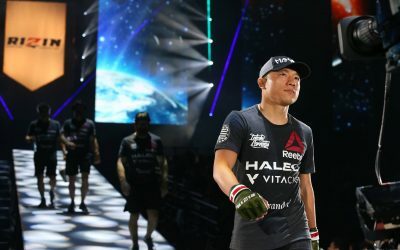 The ONE FC veteran bounced back by submitting top Chinese product Jumabieke Tuerxun, but Tuerxun hasn’t exactly put up the best performances in his time with the UFC. The 25-year-old Sasaki could be Japan’s best bet to score a UFC champion somewhere down the road. He’ll have four inches on Issa and carries the type of ground game that could give the jiu-jitsu ace trouble. We should see some great scrambles, and there’s always the chance for a quick and stunning submission win from either man. This fight might not be getting much attention, but it could turn out to be one of the better scraps of the evening. 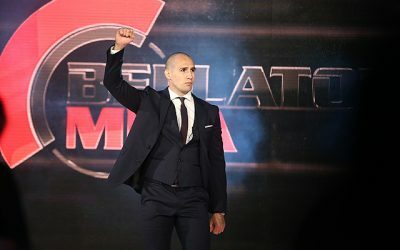 Carey: I love a couple of fights on this card, including Bryan’s pick of Sasaki vs. Issa and the match-up between Elias Silverio and Rashid Magomedov, but I can’t pick a sleeper fight that doesn’t involve Erick Silva when he’s barely been mentioned so far. The dude is a magnet for post-fight bonus awards — he has five through just eight UFC outings — and since I have a feeling Mike Rhodes is going to be more than willing to get into a scrap, I have high hopes for this one. 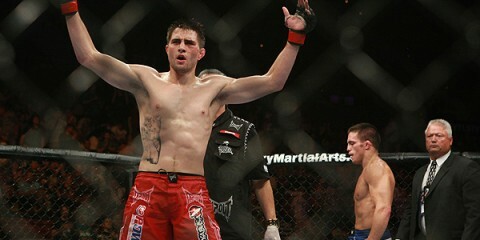 Silva is coming off a “Fight of the Year”-worthy battle with Matt Brown in May. If his win-loss-win-loss career trajectory is any indication then he’s due for a highlight-reel stoppage in front of a rowdy Brazilian crowd. When he’s on, Silva is one of the scariest fighters on the UFC roster and he’s dominated every single guy he’s fought outside of the top 10. Still, this is a sleeper fight, not a sleeper squash match, and Rhodes is going to make this one exciting before he gets put away by something special. Although he’s currently winless in the UFC, Rhodes showed some flashes of being able to compete at a high level during his RFA stint prior to signing with the promotion, and I think Silva brings out the best in him. The Roufusport fighter is at his best when he’s being aggressive, and Silva isn’t going to give him much of a choice. If Rhodes doesn’t come out strong, he’s liable to get finished quickly. Silva should win this one in spectacular fashion, but expect a brawl in the meantime and a possible performance award for both men. Carey: A few of your favorite things. Let’s face it, this is the last Saturday before Christmas, Hanukkah will already be in full effect and the rest of your holiday plans are probably set to take place in the next few days. That means a whole lot of coming and going and extra stress for most of us will be on the horizon, and the opportunities to sit back and do what you want to do are probably going to be at an all-time low next week. So, on this final UFC Saturday of the year, I suggest you load up on whatever it is you enjoy most and indulge to the fullest. You like to eat? Order three pizzas and stuff your face. You like to drink? Down the whole bottle and worry about the consequences on Sunday. You like to watch the fights naked? Hey, who am I to judge? This is the last fight card of the year and probably your last free weekend before the holiday season truly kicks off, so just kick back, relax and have some fun. Henderson: Eggnog with rum. This is the closest thing fight fans get to a UFC Christmas event, so why not celebrate it in holiday fashion? It’s not a bad stocking-stuffer of a card either. 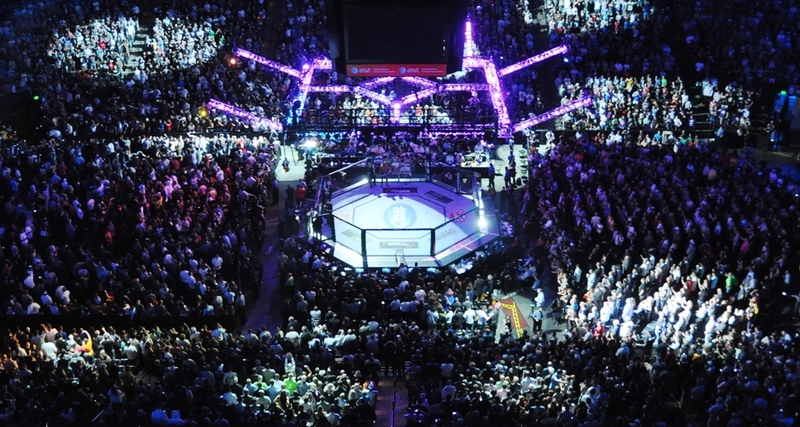 Many of the names here might not spark the same levels of anticipation that we’ll see out of the first UFC event of 2015 — an event that features the long-awaited showdown between Jon Jones and Daniel Cormier is hard to beat — but there are a lot of important fights in the lineup, from the title implications loaded into the headliner and co-headliner on down to the future contender possibilities that lie within the other main-card contests. So, yes, down that bottle and enjoy one last night of people punching other people in the face before the stress of the holidays set in.